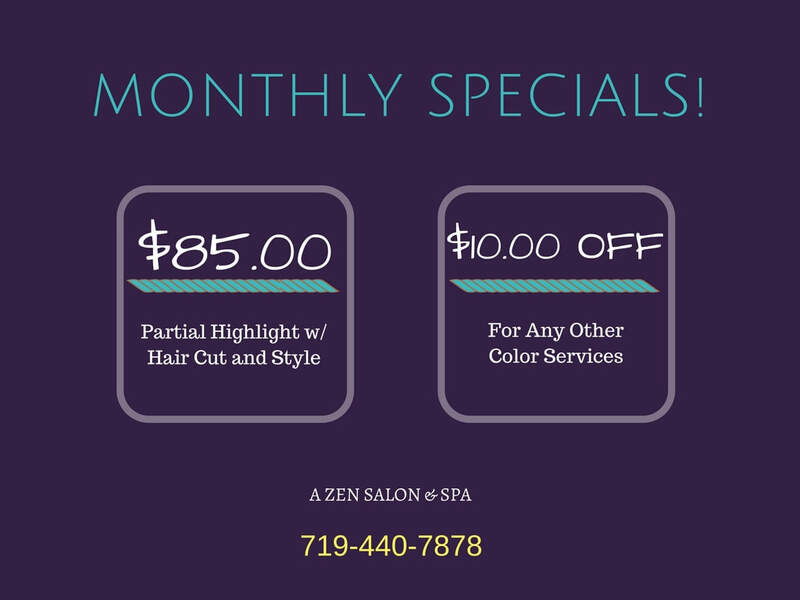 For people looking to take their hair care to another level, A Zen Salon & Spa can provide top-notch hair styling and more in a beautiful and highly sophisticated salon. Our high-end salon offers a large variety of highly specialized services in a luxurious environment with the full intention to help each and every one of our clients look and feel their absolute best. Shampoo and condition, designed cut and blow-dry. Up to 10 year’s old. Home dye job, too brassy, turning orange, we can fix it. A gentler color for those who don't need a lot of gray coverage, outstanding Condition and Shine. Questions? Visit our Contact Page or Call 719-440-7878.